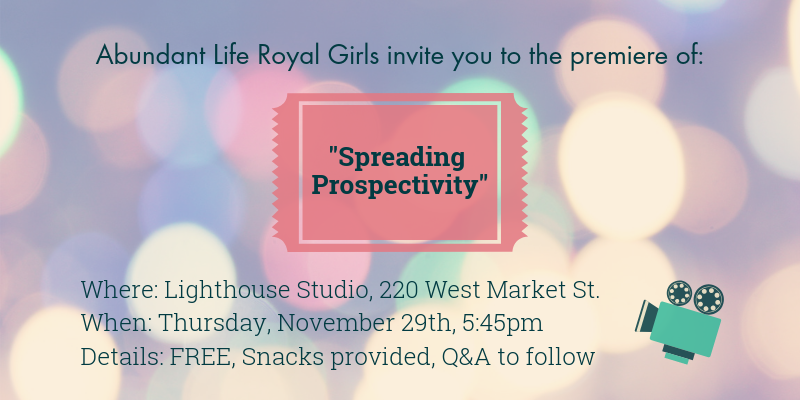 Abundant Life’s Royal Girls are excited to invite you to the world premiere of their film, “Spreading Prospectivity,” a look at positivity in Prospect. The girls have worked very hard on the film in partnership with Light House Studio and would love to have you join them for the premiere! The free screening will be on Thursday, November 29 at Light House Studio, 220 West Market Street, at 5:45pm. 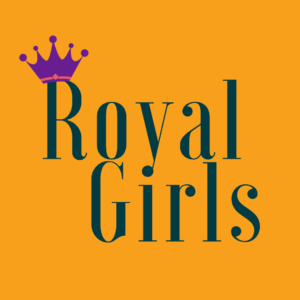 Popcorn and pizza will be provided and the girls will participate in a Q&A immediately following the film. We hope to see you there!